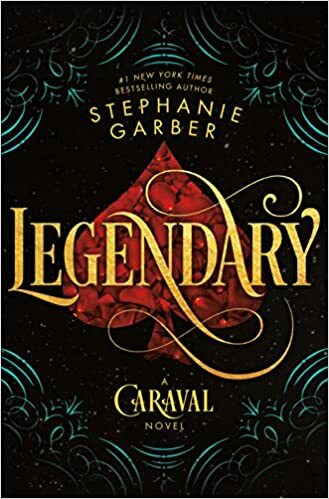 I can’t tell you how long I waited to read this sequel to Caraval! Okay, I waited as long as everyone else had to, but after enjoying the first book in the series, I wanted more right then! And needless to say, Stephanie Garber did not disappoint with this mesmerizing tale filled with magic. Another game of Caraval must be played, avoiding a murderous heir to the throne. And there are people trapped in playing cards! Freaky! But do you finally find out who Legend really is? Well, I won’t spoil it, you’ll have to read Legendary for yourself! Amid strange staff disappearances and allegations of fraud, panicked investors sold Cleveland’s largest bank in the middle of the night, locking out customers and employees, and thwarting a looming federal investigation. In the confusion that followed, the keys to the vault’s safe-deposit boxes were lost. 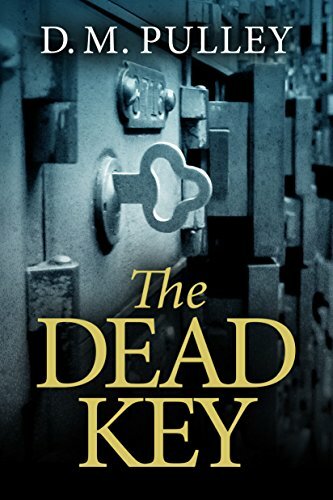 And then later in the blurb: With each haunting revelation, Iris follows the looming shadow of the past deeper into the vault—and soon realizes that the key to the mystery comes at an astonishing price. 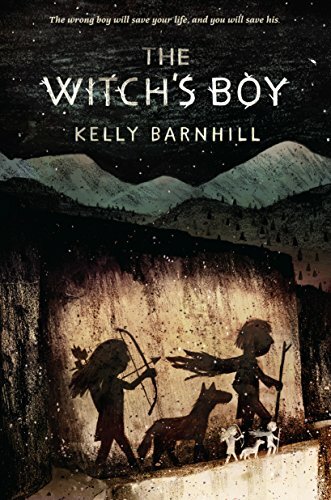 The Witch’s Boy by Kelly Barnhill had healing witches, talking stones, bandits, and a boy carrying around the soul of his dead twin brother. I couldn’t wait to read the story of Ned to see how he got on with his life as he helps protect magic that bandits want to steal. A fantastic read! I have been a fan of author Holly Black for a while, so it’s no surprise I finally picked up her book The Coldest Girl In Cold Town. Just look at that cover, it intrigued me from the start! 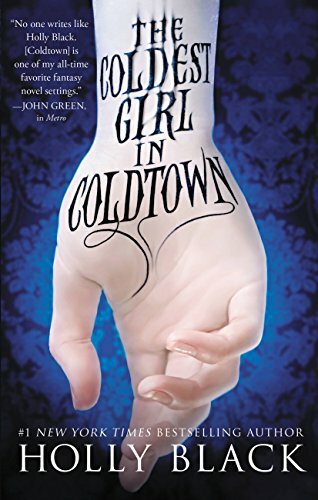 The blurb sums it best: The Coldest Girl in Coldtown is a wholly original story of rage and revenge, of guilt and horror, and of love and loathing from bestselling and acclaimed author Holly Black. So, if you LOVE stories about vampires, this is for you! What would you do if someone forced you to fake being the Prince? What fun that’d be, you say? Well, what if that person said you’d die if you didn’t, so now you can’t flub anything up! Too much pressure, right? 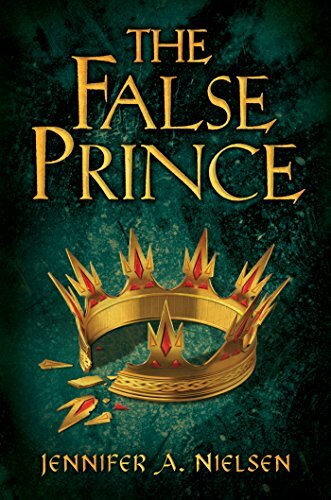 The False Prince by Jennifer A. Neilsen is full of tension, adventure, lies, and deadly truths that will keep you turning the page! I definitely recommend! Twelve-year-old Molly and her ten-year-old brother, Michael, have never liked their seven-year-old stepsister, Heather. Ever since their parents got married, she’s made Molly and Michael’s life miserable. Now their parents have moved them all to the country to live in a house that used to be a church, with a cemetery in the backyard. 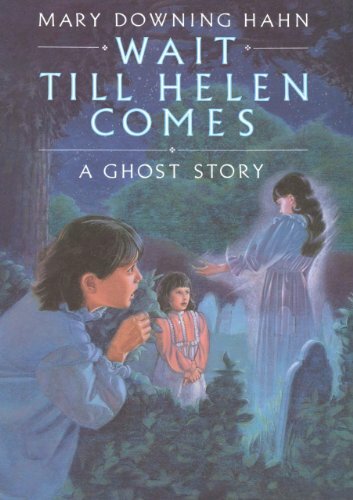 If that’s not bad enough, Heather starts talking to a ghost named Helen and warning Molly and Michael that Helen is coming for them. Molly feels certain Heather is in some kind of danger, but every time she tries to help, Heather twists things around to get her into trouble. It seems as if things can’t get any worse. 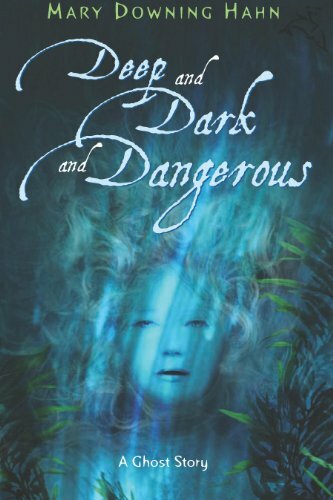 Is it no wonder I decided to try another Mary Downing Hahn story, Deep and Dark and Dangerous? After all, If I’m going to write ghost stories, I need to read ghost stories! I’ve decided that the author has a thing with bullies, which at times made this story unlikeable. But I had to know about the girl, the one missing from the photo. “Just before summer begins, 13-year-old Ali finds an odd photograph in the attic. She knows the two children in it are her mother, Claire, and her aunt Dulcie. But who’s the third person, the one who’s been torn out of the picture? ” Could she possibly be the girl named Teresa who drowned under mysterious circumstances, and her body was never found? You’ll have to read to find out. As Library Journal put it, there are shades of J.K. Rowling in this story! 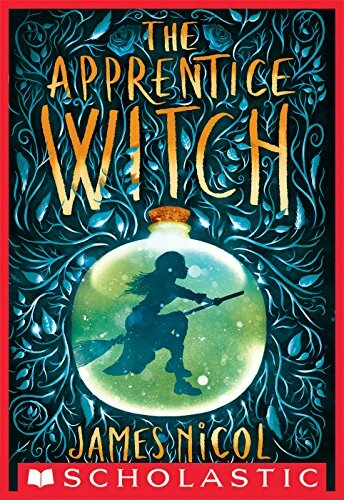 The Apprentice Witch by James Nicol begins with Arianwyn failing her witch’s assessment and is thrust to a town called Lull to work as an apprentice for six months, then retake her assessment. Of course, she’s worried she’ll fail again, but has more troubles than the test to worry about as she encounters a dangerous infestation of hexes, banished spirits, forest creatures, and her arched-rival showing up. 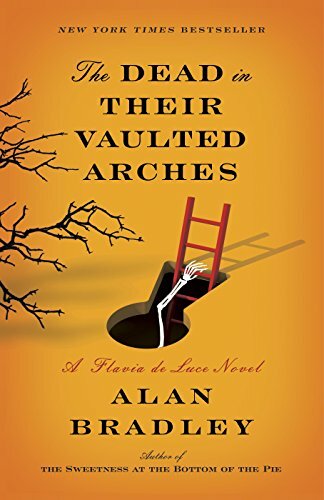 When I read The Dead in Their Vaulted Arches by Alan Bradley, I didn’t realize I was reading the 6th book of a nine book series. The story read as a standalone, so if you haven’t read the others, no worries! Though most of the narration felt old school, it was fitting considering the setting was 1951 and during the time of Winston Churchill. Flavia de Luce’s mother had been missing for ten years, but her body had recently been found in a glacier and returned home for burial. And I got delighted when Flavia gets a wild idea to resurrect her mother through some brilliant science research she reads about. (I love that she’s a science geek!) But the story is mostly about her following a trail of clues to discover who murdered her mother. An interesting tale, with some big words. LoL. Totally loved it! What? You want to know if she resurrected her mother? Puh-lease! You know I’m not gonna tell! Rejection hurts no matter who or what you do, but if you’re going to be a writer you’d better develop some thick skin. While there are circumstances of instant acceptance and overnight fame, it’s rare. Writers get rejected a LOT. First it starts with the manuscript. Writers send their book babies on submission to agents and get a lot of “not right for me” form rejections. If they’re lucky enough to land an agent, eventually the manuscript will go on submission to publishers. And sorry folks, that’s not an instant deal just because they have an agent. Publishers reject agents too. And even after a publisher picks up a novel, the fans can reject the story. For example, The Great Gatsby didn’t become famous until soldiers of World War II wrote home about the story, of which the government had sent to them to have something to read. Writing is a lot of belief in the story and that it deserves to be told. They hold onto the dream that one day an agent and publisher will agree. They don’t let rejections allow them to quit. After all, giving up is the sure way to not succeed. But all those rejections keep piling up! And from the dark corners of a writer’s mind, they hear “you’re a fraud” and “stop already”. So I offer encouragement. Not everyone succeeded their first try. Heck, many famous authors took years to get published. Here are a few to inspire writers to keep pushing forward. John Grisham: A Time to Kill was rejected by 16 publishers. James Patterson: Rejected by more than a dozen publishers. J.K. Rowling: Harry Potter was rejected by 12 publishing houses. William Faulkner: Sanctuary was said couldn’t be published. Nicholas Sparks: The Notebook was turned down by 24 literary agencies. Louisa May Alcott: The author of Little Women had been told to stick to teaching. Margaret Mitchell: Gone With The Wind faced 38 rejections. Frank Herbert: After 20 rejections, Dune was finally published. Jack Canfield & Mark Victor Hansen: Chicken Soup for the Soul had 134 rejections. Kathryn Stockett: The Help author got rejected at least 61 times. And sometimes it just takes years! Alex Haley: After writing daily for EIGHT years, the Roots author found success. Gertrude Stein: Submitted poems for TWENTY-TWO years before one got pubbed. Elizabeth Jolly: Wrote about 30 years before her first publication. So, as you can see, successful writing takes perseverance. And while there are success stories of writers who self publish, that’s a story for another day. For now, I hope this is enough encouragement for writers today!